Gifted Homeschoolers Forum - Guidance, support, for gifted kids. Gifted Homeschoolers Forum (GHF) is a non-profit, all-volunteer 501(c)3 organization that works to support, educate and advocate for families choosing alternative educational paths for their gifted children. Our work includes a variety of online communities for parents seeking support and advice; the GHF Professionals Resource Center for professionals who work with gifted, twice exceptional and homeschooled kids; the popular and extensive GiftedHomeschoolers.org website, with resources and articles from parents and experts on a wide variety of relevant topics; consulting staff and advisors; and nationally known conference speakers at events of all kinds. We also offer a variety of social media forums, books, online classes designed especially for gifted and 2e students, FREE outreach and advocacy materials, and more. We’re doing our best to support a community of hundreds of thousands of individuals worldwide, regardless of ability to pay. Visit our Membership page to become a supporting member of the Gifted Homeschoolers Forum and learn about all of the great benefits for families and for professionals and institutions. GHF Press: Books for gifted and 2e families. We understand that gifted and 2e families lead busy, often stressful, lives, leaving little time to wade through parenting books trying to find the one bit of information that might pertain to their situation. We publish highly focused books on topics important to you. We offer them in print and ebook editions, so you can read them when and how works best for you. Our books are available throughout the world. Find a complete list of Amazon links in or near your country. Online education geared to the needs and interests of gifted students. Our small online classes provide abundant opportunities for interaction among students and instructors. Our classes offer students the opportunity to learn advanced, interdisciplinary content without being overburdened by heavy workload demands, occasionally using characters such as Doctor Who, the gang from Hogwarts, and Percy Jackson to add a touch of familiarity to new material. GHF Online is 2e-friendly and willing to work with you to make reasonable accommodations for your child’s individual needs. If you’re not sure if a class is a good fit for your child, please ask. Classes meet weekly in a fully equipped online classroom featuring video chat, text chat, whiteboard, screen share, file sharing, and more. Place an ad in our newsletter, or take advantage of the Premium Plus social media blasts, tailored for your target audience. Make a tax-deductible donation – GHF is a 501(c)3 organization. Click on the Support button below. Use the convenient Paypal form to donate with a credit card or paypal account. if you want to help us monthly with $5, $15, or $25 donation use the form below. 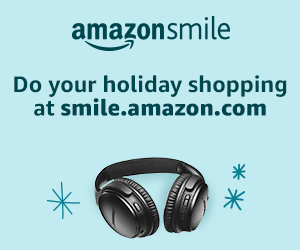 Buy books, clothing and other products through Amazon.com! GHF is an Amazon Associate, so by clicking on the Amazon.com icon before you place your Amazon.com order, GHF will get a small commission on anything you buy at NO extra cost to you. Bookmark this page now to make it easier to make your Amazon.com purchases through the GHF website! Online Community– Our Yahoogroups email community is a semi-private group where you can discuss your concerns, share your ideas, and “brag” about your kids in a space where others will understand. These simple ways can help GHF help you and other members of our gifted homeschooling community. Happy shopping!